My generation may be the last to ever have known a world without ubiquitous computing. It’s now almost impossible to imagine a computer being a thing that sits in the corner at the school library and gets used only by a few geeky kids, but in my high school that’s exactly what it was. I’ve recently been trying to reconstruct the history of different computers that I played with and owned back in those days; here is my first pass at a personal computing history, helped in large part by the awesome amount of computer history information that’s available online. My first exposure to computers came during 1981-1983 when I was in high school, though several different paths (the order of which is slightly hazy me at this point). 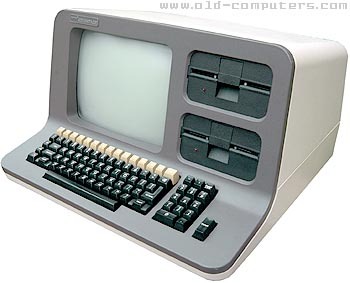 The first system that I remember programming on was the TI 99/4A, which was a “home computer” released in 1981 (we probably got it around 1982-1983). It came with relatively little software, but I do remember playing a number of games including “TI Invaders” which was their clone of the Space Invaders game. The programs were released on cartridges, more like a video game system than a personal computer. The machine came installed with “TI BASIC” which was a pretty rudimentary version of BASIC. We didn’t have a hard drive, but it was possible to save programs to cassette tape. I don’t remember much about what kind of programming I did on this system, though I’m pretty sure it was all text-based. Around the same time, my father purchased a computer for his accounting office, back when this was just becoming common. It was a Northstar Advantage, which was resold with a GBC logo. This machine was released in 1982, right after the release of the first IBM PC. It ran an operating system called CP/M, which was similar to but predated Microsoft’s DOS. The apps that I remember using included WordStar (word processing) and dBASE (a database program). I don’t think I actually programmed on this system, but it was my first experience with command line interfaces (PIP, anyone?). In our high school there was an Apple IIe in the library that was almost always free. I was ostensibly on the tennis team when I was a senior in high school, but given that I wasn’t very good at tennis, the coach was happy to let me go to the library and play with the computer instead. This system had a great advantage over the TI at home, which was that I could save programs to 5 ¼” floppy disk. This is the first machine that I remember doing any graphics programming on, though I’m sure that it was incredibly rudimentary. In the summers of 1984 and 1985, I worked at a local bank helping them to automate some of their records. The bank had just recently purchased a new IBM PC/AT which was the second generation of IBM PC’s. It had such amazing features as 16 MB of RAM and a 20 MB hard drive. I primarily used Lotus 1-2-3 (an early spreadsheet program). However, in the moments between real work, I would also take advantage of the machine’s modem to dial into a number of BBS sites. It’s hard for me to remember exactly what I found on these sites or how I even found out about them, but it was basically like a very earlier version of the web that one could call into for free. I think I mostly used them to download software. During most of my college career I did not have my own computer; very few students did. If we needed one, we would go to the computer lab on campus, which is where I was introduced to Macintosh (Plus or SE) computers. In my senior year of college the Mac SE/30 was released, and my parents were nice enough to plop down several thousand dollars to buy me one before I headed off to graduate school, along with an ImageWriter II dot-matrix printer. This machine was my workhorse throughout graduate school. I addition to writing papers, I was my platform for learning other languages including PASCAL and C. It was the system on which I wrote my first simulations, which would be published here (though the actual simulations for that paper were run on a Sun UNIX system at the Beckman Institute because it was so much faster than my SE/30). When I arrived at Stanford for my postdoc in 1995, it was definitely time to upgrade. I was lucky enough to be in the market during the short period in which Mac clones were available, and I bought a Power Computing Power Tower Pro, which was one of my favorite computers ever. It was this machine on which I first started playing serious with Linux (using mkLinux IIRC). The PowerTower Pro is the last machine that I’ve owned that I think could be legitimately called “historical”, so that’s where my story ends for now. I remember the SE/30--I came over and spent the day at the Nutty Pecan putting my history paper together. (I got an A on it with the comment "Pretty good" from the prof.) Good times. That was great advice Gordon!